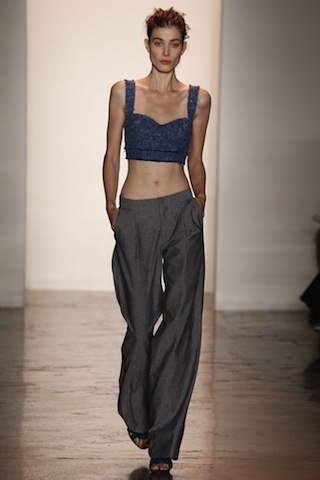 Judging from the streamlined models overwhelming the runway with cascading abs and toned legs that never seemed to end, it’s clear that you have to be in optimum shape to partake of Peter Som’s latest offerings. 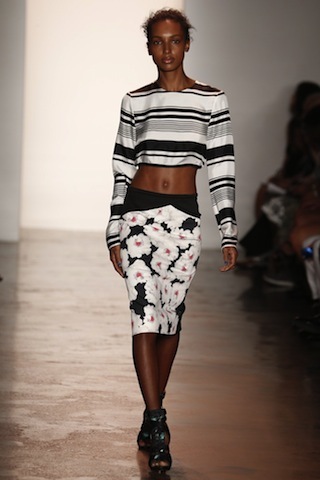 Som titled his collection “Surf style goes below 14th Street” and it’s clear that his vision is encased in the idea that basking in the wonders of nature requires a level of dutiful sophistication and primal femininity that allows for sensual functionality on a level that encourages individualistic splendor. The pieces reflected an exquisitely earthy temperament relayed with signature etchings to enhance the modernistic themes that always propel our evolving existence. If you are afforded the good fortune of being able to leisurely travel the world, then you must pack according to the Peter Som philosophy.